Fire control and conservation is a major innovation of early prehistory. It is evidenced on Early Palaeolithic sites in western Eurasia dating to between 400 and 300 ka. In southern Italy, a large group of open-air Acheulean sites, dated from 680 to 300 ka, attests to the early settlement and long-standing human occupation of the region since the Early-Middle Pleistocene. To date, these sites have yielded no evidence for early fire use. This observation raises the question of charcoal fragmentation and dispersion in the context of open-air sites. In order to diagnose early fire use on Palaeolithic sites, a protocol for the quantification of microcharcoal has been standardised. The quantification of microcharcoal has already been applied to Middle Pleistocene geological sediments and Early Palaeolithic archaeological deposits to evaluate the wildfire background and the potential use of fire by hominins. This study focuses on the Early-Middle Pleistocene (780–500 ka) and the late Middle Pleistocene (500–300 ka). It is based on microcharcoal analyses from the Boiano Basin (Campochiaro and S1 cores) as well as from the archaeological sites of Isernia La Pineta and Guado San Nicola. Wildfire background is recorded in the basin infill although runoff and long-distance transport to the basin may be responsible for the small-size particles and low concentrations observed. 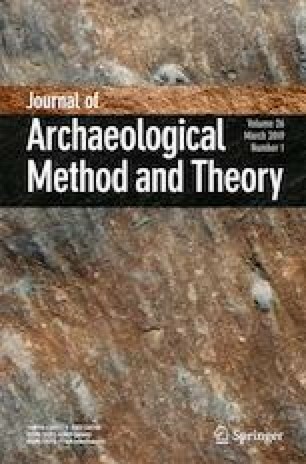 Fire use by hominins has not been identified in the archaeological layers from the Early Palaeolithic and the small size of the particles might be related to trampling by humans or animals. Notwithstanding the large group of archaeological sites in southern Italy, the low density of hominin populations constitutes a limitation to the dissemination of innovative techniques and new knowledge during the Early Palaeolithic. The online version of this article ( https://doi.org/10.1007/s10816-018-9373-3) contains supplementary material, which is available to authorized users. We wish to express our gratitude to Molise University for making the core material available. We also acknowledge the three anonymous reviewers who provided constructive comments on the original manuscript. This research was financially supported by the French-Italian PHC Galileo project no. 32321UM ‘Apport de la palynologie à la valorisation des sites préhistoriques du Paléolithique inférieur de l’Italie centro-méridionale’ led by V. Lebreton (MNHN) and A. Bertini (Univ. of Firenze)/no. G14-138 ‘Apporto della palinologia alla valorizzazione dei siti preistorici del Paleolitico inferiore dell’Italia centro-meridionale’.